The Australia mass group transportation specialist TAG (Transit Australia Group) and the international electric driverless technology company EasyMile are soon to join forces to develop autonomous EV technology and applications. The South Australian transport company Precision Buses is also a key player in this development. Australian companies have always been at the forefront of technology when it comes to bus and coach transportation. They have embraced all different kinds of technology such as software tracking systems and different fuels, but now are adopting radical new advances. TAG is one of Australia’s biggest privately owned group transportation companies, that offer a high-end solution including bus design, manufacturing, planning and operation, design, and workforce development. TAG have an advanced technology arm in Queensland named Bustech which is Australia’s only bus OEM that have in-house chassis design, do their own engineering and make in house. Easy Mile operate throughout the world, including the Middle-East, Europe, Asia-Pacific and America. 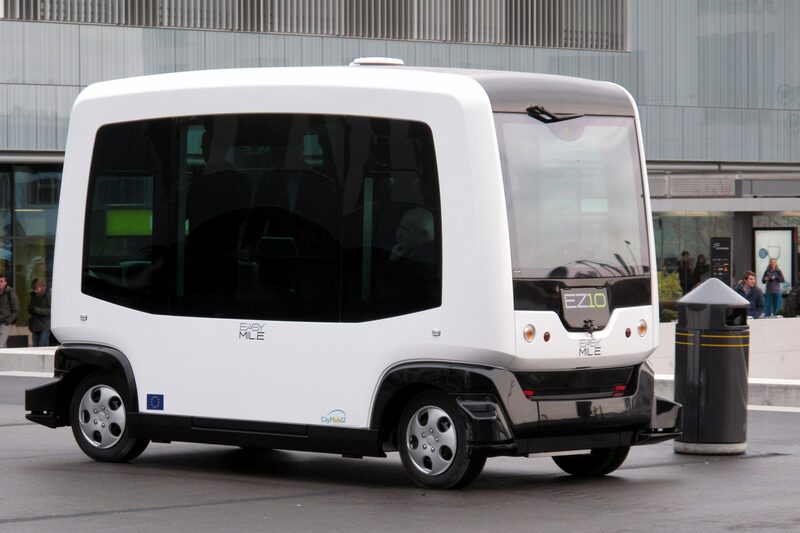 They manufacture the EZ10 which is a driverless shuttle bus which is capable of carrying eight seated passengers and seven standing. The EZ10 has a top speed of 45 km/h fully loaded. The EZ10 can be used in many environments which includes public roads as long as the infrastructure has the correct software to operate. The mass transit capacity and capabilities of TAG together with their vast experience will be highly important in the success of the collaboration. As TAG will be able to integrate the new driverless vehicles easier into Australia’s public transportation systems. The CEO for TAG, Mr Michael McGee was quoted in saying, We have combined world-leading autonomous vehicle products and technology with our expertise and innovation in designing and operating mass transit networks. The partnership will come together at TAG’s joint venture project, Precision Buses. Which as it happens is also the home of Brabham Automotive and the aust suspension provider Supashock. Mr McGee was at lengths to explain that the new partnership presented further development and research opportunities of the autonomous vehicle market place. Which would include the development of TAG’s ZDi urban electric bus. The ZDi is already on trial in Adelaide’s public transport network system, which incorporates new driveline technology and autonomous control systems. TAG are also looking to manufacture EasyMile vehicles in Adelaide. The Asia-Pacific head of EasyMile operations, Mr Simon Pearce was quoted as saying, From operations through to maintenance and support, TAG has full service capabilities and we are delighted to be collaborating with a company equally as passionate about developing an innovative autonomous vehicle hub in South Australia, which creates significant employment opportunities and local economic benefit. It is without doubt that EasyMile will benefit from the vast experience and huge logistics that TAG can offer. On the other side of the coin TAG will benefit greatly from the technical expertise that EasyMile offers. This collaboration could offer an important solution in the advancement of autonomous vehicle mass transit for the future. Both the public and the government will stand to gain if the joint collaboration starts to bear fruit, and Australia’s public transport systems start to use this technology.